It’s been a super depressing week in South African politics, so rather than boring you to tears with my usual preamble, let’s kick this week’s news into high gear by focusing on some awesome local talent performing the requisite kicking of posteriors and masticating of gum. 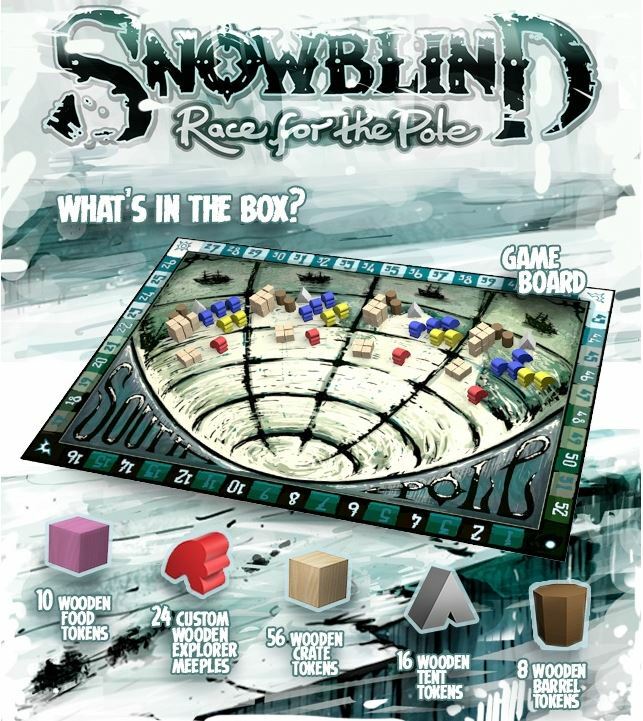 Rob van Zyl’s Pleasant Company Games has launched a Kickstarter for Snowblind: Race for the Pole. Rob should be no stranger to most of our readers – Ancient Terrible Things has done remarkably well in both the local and international marketplace – and Snowblind looks set for equally great things. The art style is highly appealing and the gameplay promises to be quick and simple, yet ‘deeply emergent and as brutal as the chilling environment’. Even Rahdo has done a runthrough of the game already, but we’d rather point you to Gareth H. Graham’s interview and overview with Rob himself. Gareth is also responsible for the Cape Meeple Talk podcast, along with Zach Groenewald (owner of Fanaticus), be sure to subscribe! Next up, Steven Tu who rightly seems to be focusing more on boardgame development these days and less on our digital competition (Dead Run is still loads of fun though). 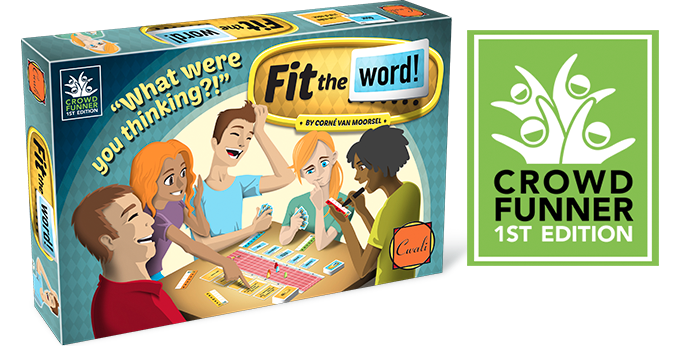 His art currently adorns the Netherlands based Kickstarter for Fit the Word, and his set collection game Dubai has been nominated for the Cardboard Edison award. If you’re interested in checking out Dubai, you can find print ‘n play files here. Lastly, Photon Games have a new Kickstarter update for Sultan’s Library. The final artwork is 99% at completion and backers can expect their print ‘n play versions to be available very soon! Right, on with the rest of the news then. Time to wield you best Sean Connery accent (or your best Ford mumble if you prefer) for the 3rd quarter (why not October?) 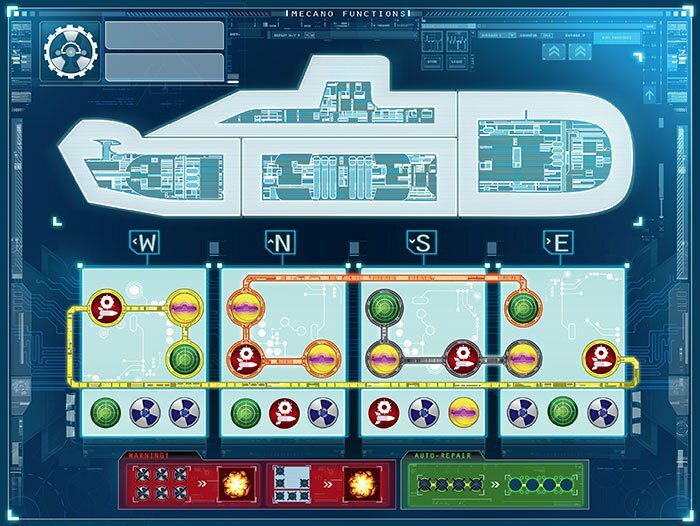 release of Captain Sonar – a game of dueling submarines. Wait, so this is like Battleships, only cooler? Is this perhaps the start of a trend toward revamping old titles and imbuing them with greatness? Is Monopoly next? Probably not. 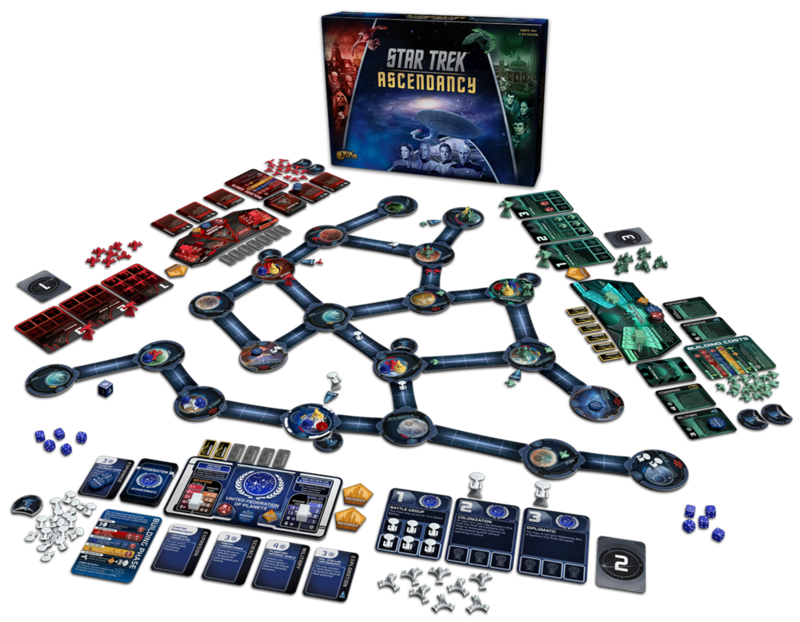 Boldly going where some hit or miss titles have gone before, Gale Force Nine are throwing their expertise behind a new Star Trek game – Ascendancy. Perhaps a little too ‘on the nose’ in the wake of Rebellion’s release as it certainly seems to look and play in a similar manner, if it’s actually a decent Star Trek game will we care? I have yet to pick up Stallion Canyon, but Pretzel Games waits for no man, and they’ve announced Red Rock Tomahawk for a Gen Con release. Not much detail as yet, but it seems as if this will serve as the introduction of the Native American factions. Let’s hope they find the right balance between being socially conscious and not taking themselves too seriously. So, er, this is a thing? Yeah. And, um, this is also a thing. I don’t know what’s happening either. Thankfully, we can return to sanity with the announcement of a stand-alone dice game based on 2015’s critically acclaimed Stronghold Games release – La Granja. La Granja: No Siesta, which is also what we call someone in the CBQ office since they bought an Xbox, takes the dice mechanism from the original, tightens it up and transforms it into a quicker and lighter version. Jamey Stegmaier, a name which conjures thoughts of the eventual arrival of Scytheohgoditsalmosthere, has sneaked a few hints about a new legacy Euro game called Charterstone into this week’s Boardgame Blender episode – needless to say this one is bound to generate serious hype. I found out about Battle for Souls after the original Kickstarter had come and gone, and have long been tempted by the option to print ‘n play. To my delight however, designer Robert Burke has launched the campaign for Battle For Souls: 2nd Edition & Expansion. 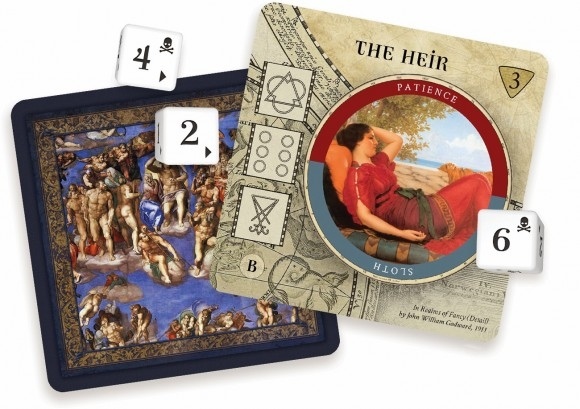 The new edition also adds new Relic cards, new Soul and Sin cards, new modular mini-expansions and more. And there’s an amazing deluxe version with metallic tokens and dice, player mats and a velveteen component bag, but at $100 it’s a little rich for my blood. Forget Zombies, Zephyrs seem to be all the rage right now on Kickstarter – add another to the growing list with Zephyr: Winds of Change. What does this project from Portal Dragon offer that the rest don’t? Transparent cards a la Gloom – modularity is indeed the watch word with customisable airships and even customisable missions that alter game length and difficulty. 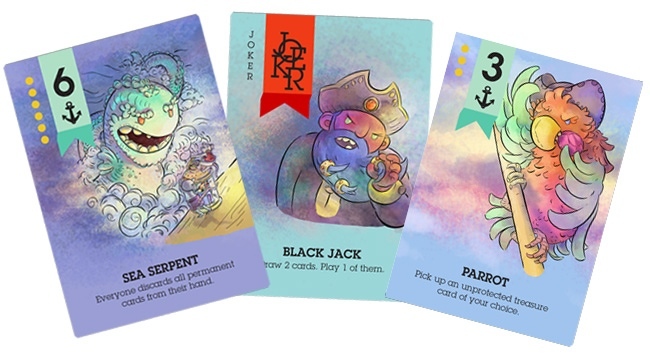 Dead Man’s Draw is a staple around the CBQ office (in my mind), so if you like you Pirate-themed-sub-ten-minute-card-games to have a little more theme, Scuttle! may be for you. I mean, it’s $9 for the base game and $14 for the base + expansion. An odd trend that seems to be developing is that of announcing Kickstarter campaigns months before they actually start, something akin to the ‘teaser trailer for a teaser trailer’ Hollywood is so fond of. Perhaps I’m just getting grinchy in my old age, but oh well. CMON announced that Massive Darkness, based on the Zombicide system, will be launching a campaign in the next few months. Given the popularity of Zombicide and the quality of the minis, this one is going to haul in the big bucks with ease. Finally, Aeon’s End tackles the cooperative deckbuilding genre, but hopes to change things up with a variable turn order system. This one also comes with some pretty convincing quotes from industry big wigs, if being convinced by quotes is your kinda thing. My first thoughts were that this seems like holding off a Zerg rush in card form – imagine my surprise to see the designer was a professional Starcraft 2 player. If that doesn’t pique your curiosity, nothing will. 153% funded with 28 days to go, expect some great stretch goals as well. This week sees an update for the Glass Road app to version 1.02 and the guys as Handelabra Games have teased us with the Season 2 of the Sentinels of the Multiverse app. Forbidden Desert also got a major update making one of the better app conversions of the year even better. Core Worlds is finally on iOS after a lengthy Kickstarter process, although early reports indicate compatibility issues and a host of other niggles. Hopefully these get patched quickly. That’s it for this week! Next week should see a little more content on CBQ including a review of Tiny Epic Galaxies, and we’re slowly but surely heading toward April 30th – International TableTop Day! We’ll be covering preparations and listing as many event details as we can, but if you’re planning something special and need to get the word out, shout through any of our social channels and we’ll include you in our coverage. Have a grand weekend all!